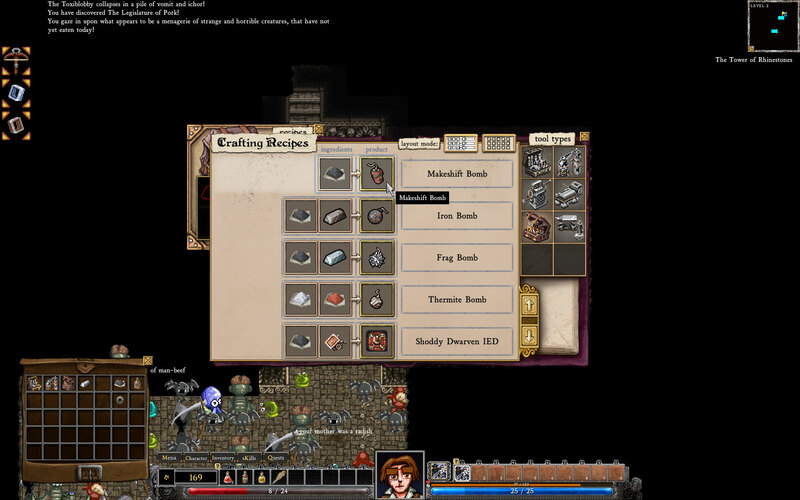 Fans of classic gaming and dungeon crawling will want to take a gander at Dungeons of Dredmor. 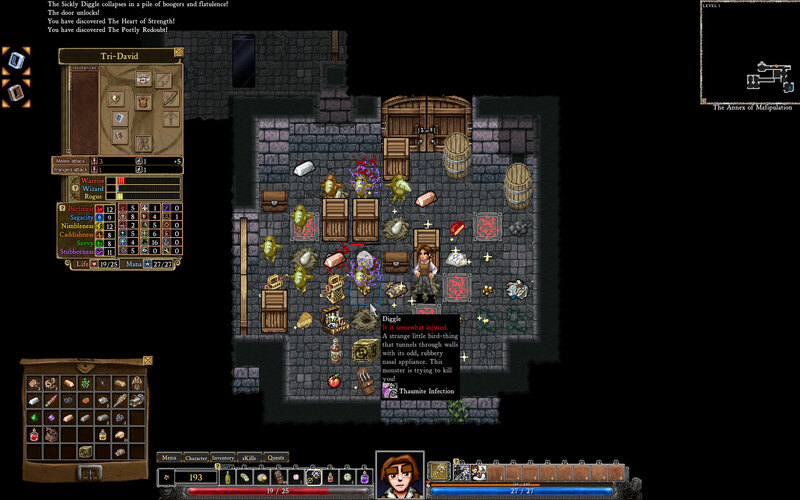 When I first came across Gaslamp Games' Dungeons of Dredmor, my indie sense started tingling, and I wasn't alone. The intriguing roguelike/dungeon crawler has been getting a lot of buzz, but it didn't have a price or anticipated release date until now. 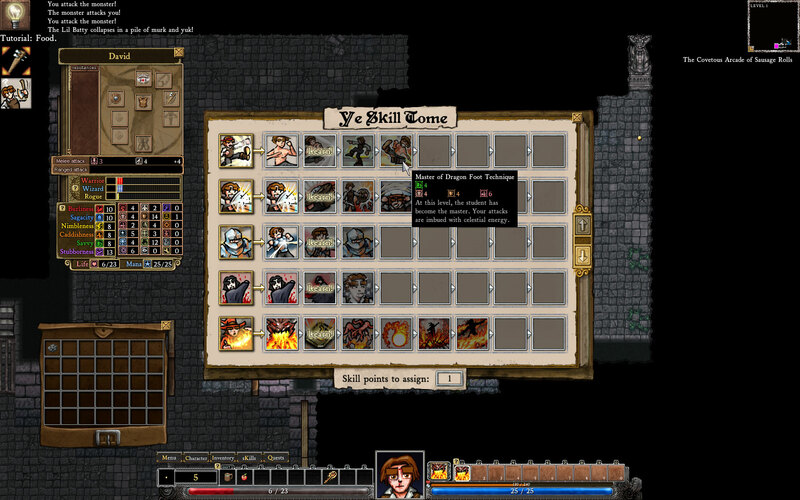 Gaslamp Games has announced that Dungeons of Dredmor will hit Steam on July 13 for just $5. Dozens of skills (from Astrology to Fleshsmithing)? Check. Randomized dungeons? Check. Lots of treasure to collect (including a panini press and lutefisk)? Check. Complicated crafting? Check. Entire rooms packed with monsters ready to overwhelm you unless you use some kind of interesting item/skill combination? Check. Yeah, it looks pretty sweet to me. 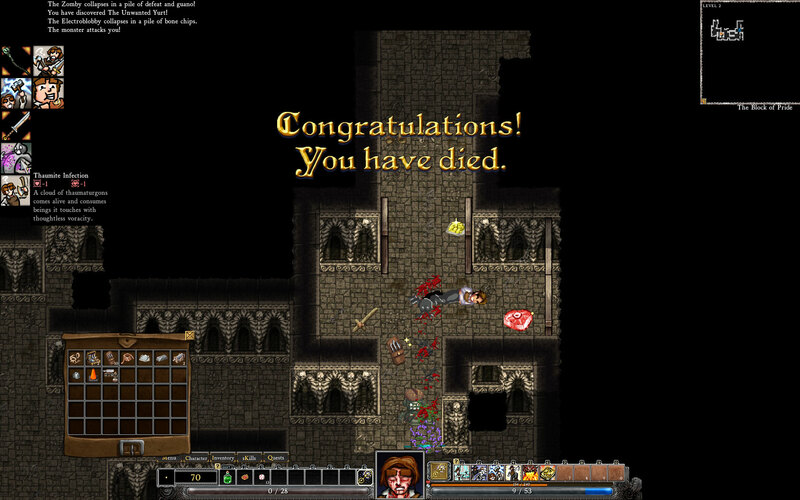 Dungeons of Dredmor combines this classic roguelike gameplay with a pretty visual style in a world where humans have giant eyebrows. If "Death By Eyebrow" isn't a skill right now or added in a later patch, I'll be sorely disappointed. Did I mention the $5 thing? It seems like a very cheap price for a game of this sort that can provide tons of replay value, but I'm not complaining. Plus, it couldn't be easier to buy it now that it's coming to Steam, which everyone and their grandmother uses. Any game that congratulates you for dying is a-okay in my book. 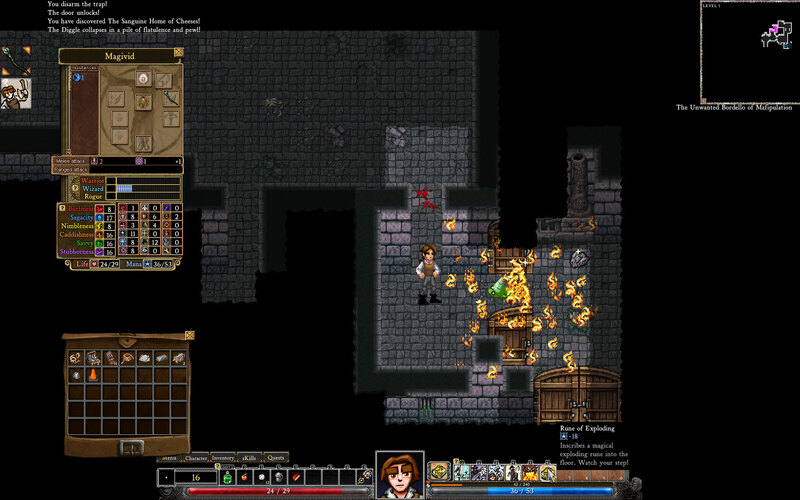 Gaslamp Games is hoping to make a huge splash when Dungeons of Dredmor hits on July 13.